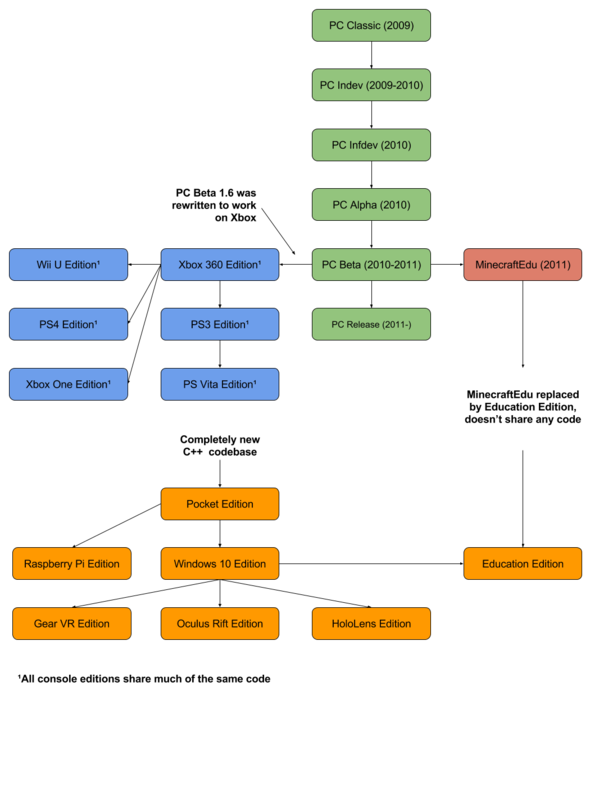 As you can see, pretty much every current version of Minecraft has it's roots in either Minecraft PC or Minecraft Pocket Edition. Microsoft is putting a huge focus on the C++ codebase that powers Pocket Edition, Windows 10 Edition, and all the other orange editions in the graph above. The Java version still hangs around, and the 1.6 beta release from years ago was the original codebase for every console edition of Minecraft. Hopefully this clears everything up about the various editions of Minecraft. And if Mojang is reading this - we really shouldn't need a chart to understand all the editions of Minecraft.